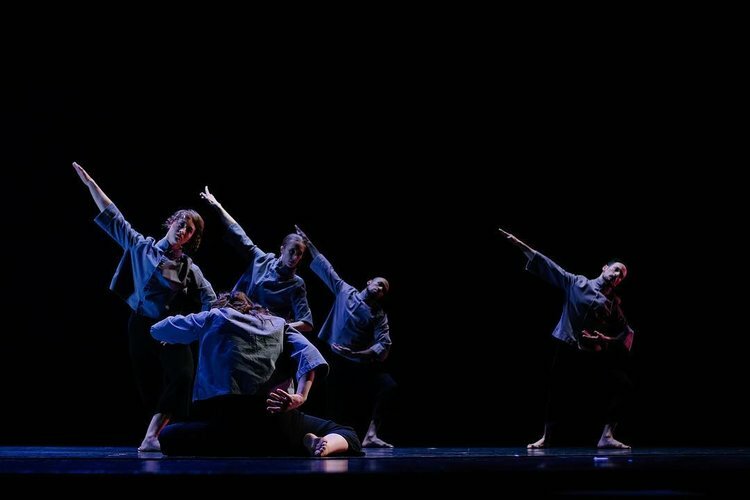 Since its genesis by visionary founders Joan Woodbury and Shirley Ririe 55 years ago, Ririe-Woodbury Dance Company has cultivated a family, in Salt Lake City and beyond, that manages to thrive with each new addition and that can be seen and felt in the embraces and warm smiles shared at its shows. 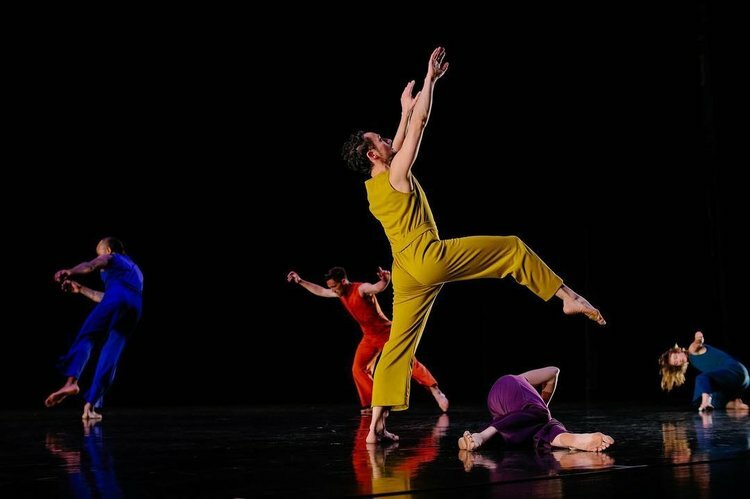 Their 2018 season opener, Splice, includes four works from the past as well as two new company members, Brian Nelson and Breeanne Saxton, and is a veritable blending, or splicing, of old and new. To open the evening, Joanna Kotze’s “Star Mark” (2016) saturated the stage with a floral pattern projected onto the scrim, the dancers nestled upstage, holding hands in an ’X’ position and facing the flowers — or maybe not facing them as separate entities so much as simply existing among them, as flowers. Both choreographer and whimsical florist, in this case, Kotze, has created a work that blurs animate and inanimate entities and modes of existing. The movement was linear in one moment, curling with expression the next. Yebel Gallegos had a delightful solo in which he grimaced and flexed at the audience amid longing looks of flirtation. All of the dancers scanned the audience at one point or another, aided by lights revealing the audience sitting in its own arrangement, perhaps inspiring some audience members to consider rearranging themselves in response to the dancers’ confident explorations of what is corporeally possible. The piece persisted to the point of wilting, then perked up again, before gracefully but suddenly stopping, eliciting laughter throughout. Following Kotze’s piece, Jena Woodbury and Daniel Charon — who have a respectful and humorous rapport together as executive and artistic director, respectively — made opening remarks thanking donors; and then offered everyone a splice of cake after the show. Party on. The next piece, however, took the party in a darker, moodier direction. “Prima Materia” (2015) by Adam Barruch featured three sheets of almost-opaque plastic rectangles hanging across center stage, obscuring the dancers, who began with twisted arm gestures above their heads like specimens in an incubator. They then moved from behind the sheets, born into transparency, but their purpose (or that of Barruch) remained unclear. The rhythm of the piece was consistent throughout, featuring lots of forceful partner work paired with music that directed the movement. 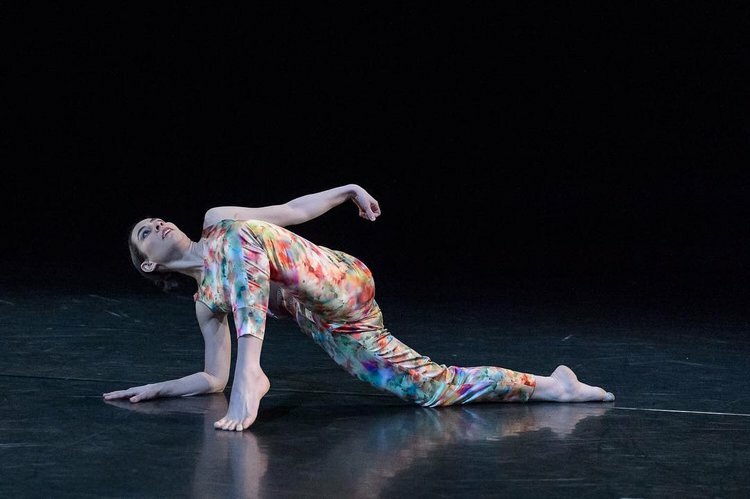 There was one very refreshing moment when Bashaun Williams supported Megan McCarthy in a floating meditative stance that suddenly highlighted the fact that they had been moving swiftly for almost the entire piece without any distinct dynamic developments. Doug Varone’s “Strict Love” (1994) was also static, but with more clarity of intention. The dancers moved almost entirely in unison throughout except for the beginning, during which Saxton initiated a robotic phrase to The Jackson 5’s “ABC.” It should be mentioned that this was not in fact the true beginning of the piece because it stealthily began as the audience trickled back into the theater after intermission, with “Spirit in the Sky” playing softly as if the dance was just that — a spirit slowly materializing before our eyes. The choreography was keenly in sync with the radio-pop-medley soundtrack, but it never succumbed to any literal interpretation of the lyrics, or standard groove that you might expect when hearing such classic, groovy tunes; instead, the dance was dedicated to its own logic and just happened to exist in this space of popular music. 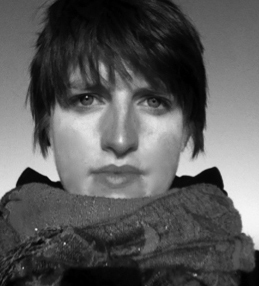 Charon created the final work, “Construct,” in 2014 with a score by local composer Mike Wall. Charon has a knack for and deep interest in digital dance work that “Construct” represents well. 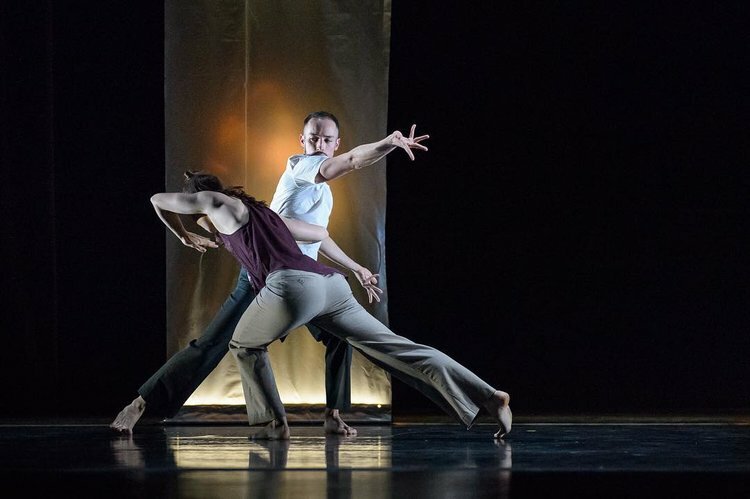 Two screens accumulated onstage, onto which the dance was projected and then slowed down to different degrees, constructing a poignant representation of time and visual memory. To conclude the piece, and the evening, a quartet that featured the more senior members of the company (Melissa Younker, Williams, Gallegos, and McCarthy) was punctuated with Younker standing alone at the end, first physically, then virtually, her calm strength in that stance a reassurance of beauty through change. 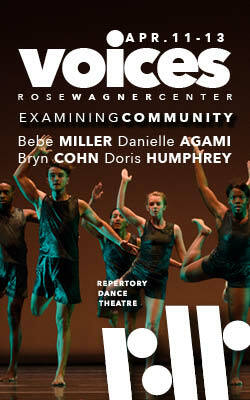 Ririe-Woodbury Dance Company’s Splice was performed at the Rose Wagner Performing Arts Center September 27 – 29.